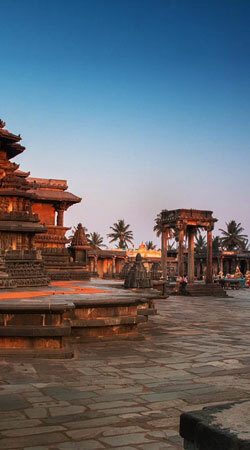 The largest state in southern India, Karnataka has a culture, language and history quite distinct from its neighbours. The dichotomy of past and present is obvious when comparing the state's two main cities, Bangalore and Mysore. The former is India's IT capital - a sprawling city with every convenience (and some of the inconveniences) that you would expect to find in a major western city. 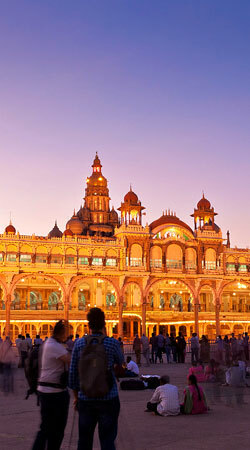 On the other hand Mysore maintains its colonial charm, dominated by the opulent Maharaja's Palace. Life in Mysore is relaxed, the markets and bazaars are legendary and the climate cooler than on the plains below. Aside from the main palace, the folklore Museum with a wealth of carvings, puppets and ceremonial headwear, and the Jagamohan Palace are notable landmarks in Mysore. 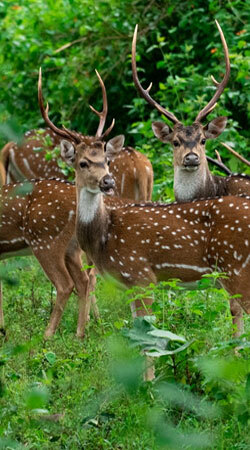 Mysore can be used as a base to explore Hoysala Temples, botanical gardens and a bird sanctuary. 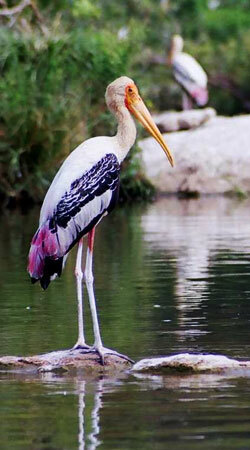 Ranganathittu Bird Sanctuary is one hour's drive from Mysore on the banks of the Kaveri (Cauvery) River. There is a wide variety of birdlife here including storks, herons, cormorants, egrets, darters, kingfishers and other water birds. Crocodiles and otters also live in the water surrounding the six islets that comprise the sanctuary. There is an option to take a boat ride down the Kaveri River to see the native and migratory birds nesting and feeding in the sanctuary. This is the base from which to visit the 10th century Hoysala Temples at Belur and Halebid. Smaller in stature than the Dravidian temples of Tamil Nadu, these are intricately carved on all levels, including the inside of the ceilings. 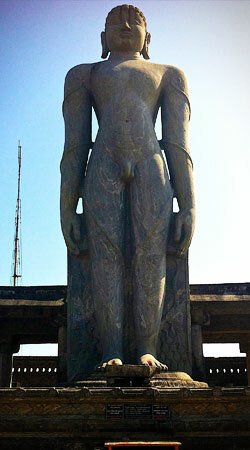 The Jain statue of Gomateshwara at Sravanabelagola is an imposing yet serene site. The climb up to the 17.5 metre figure gives you a close up view of one of the last remaining monolithic statues. This area has drawn pilgrims since the 3rd century BC when Jainism was introduced to the Southern states. 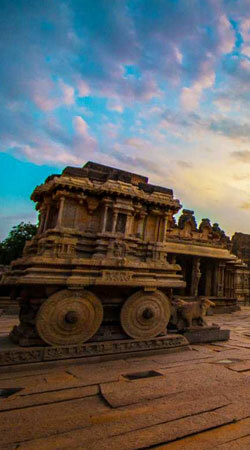 Karnataka's most significant historical site is the ruined Vijayanagar city at Hampi. This was the capital of a huge empire between the early 14th and mid 16th century. The most splendid monument of Hampi is undoubtedly the Vithala Temple Complex with its 56 musical pillars but there are many other points of interest including Virupaksha Temple, the Queen's Bath and the Elephant stables. At least one full day is required to take in the sheer scale and majesty of the site. These are well preserved but less extensive than those at Ajanta and Ellora. The 3 main caves are dedicated to Shiva, Vishnu and Jainism respectively with detailed decorations depicting aspects of the deities. There is a good archaeological museum and good views for those who climb up to the fort. 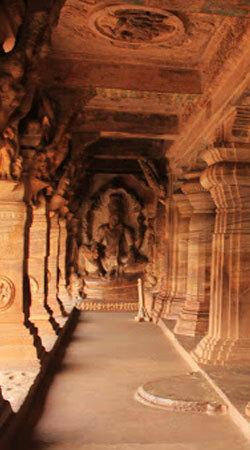 Close by are temples at Pattadakal and Aihole which can also be included in a full day tour of this area. Pleasant change from the plains , an attractive trekking destination! For those who like to visit places off the beaten track, you can come across from Hassan to the hill stations of Coorg (Kodagu) to visit coffee plantations and the source of the Cauvery River. This area is also home to Tibetan settlements where you can visit their temples and observe the activities of the monks and industrious people. You can choose from a range of accommodation, some including simple home - stays on plantations, up to resorts with a range of facilities. The elephant camp allows you close interaction and education about the natural life of elephants and how they also contribute their skills in plantations of the region. 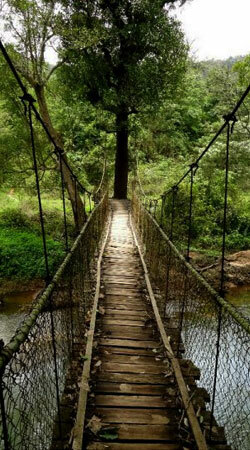 A relaxing stop between Goa and Kerala, one of the scenic locations in India ! Coming across to the coast at Mangalore, there are pristine beaches and the temple town of Udupi. 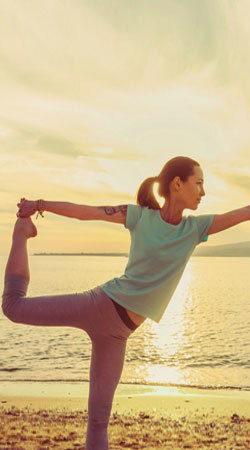 At Gokarna, with its Om shaped beach there are places to relax (as Goa was in the early days), various accommodation offering Yoga, meditation and Ayurveda without large crowds. Further up the coast, just south of the Goan border is Karwar where you can stay in simple accommodation surrounded by white beaches and forest. From here you can access the airport at Goa. Home for swampland, streams, moist deciduous forests and stands of bamboo, teak and sandalwood. Flourished by the Kabini River, the Wildlife of Karnataka surprises you with Indian Bisons, Elephants, Indian wild dogs, sloth bears, leopards and an endless list balancing the ecosystem.